Kimber K6S Review - Best New Revolver! You are here: Home / Firearms / Kimber K6S Review – Best New Revolver! 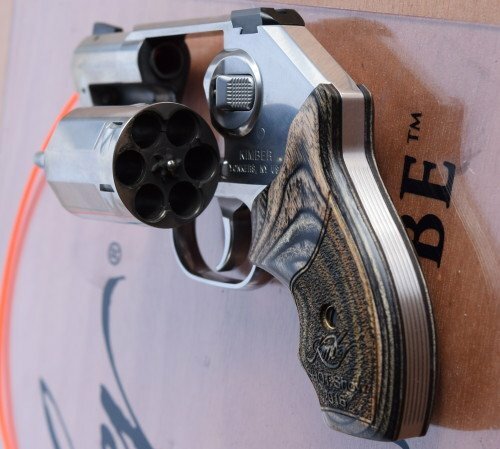 Kimber K6S Review – Best New Revolver! The Kimber K6S was one of the most sought after new handguns at SHOT this year. Kimber has established one of the best reputations in custom firearms manufacturing in the country. Kimber’s signature custom designs have centered around the venerable Model 1911 with various calibers offered. Kimber has even produced their own semi-auto pistol design in the Solo pistol. This year Kimber broke the mold and entered the revolver market, with the K6S .357 Magnum, 6-shot revolver. One of the greatest parts of SHOT Show is the Industry Day at the Range! Kimber was proudly represented this year and the K6S was taking all the spotlight even over other Kimber models of significant fame. With the National Shooting Sports Foundation (NSSF) taking charge of this event, the range day has only become better. The media bus I was on delivered us to the top of the range (or the far west side), and I was so glad it did. That’s because the Kimber booth was one of the first booths I was able to visit. The new Kimber K6S is definitely a firearm to take note of. 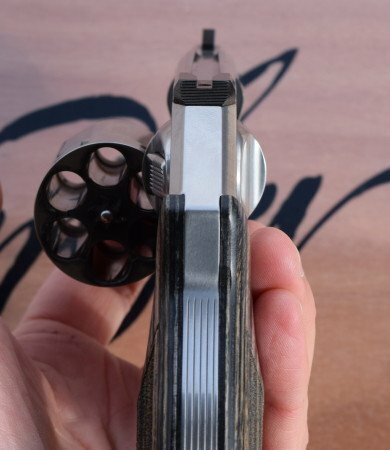 Granted, the custom wooden grips should be standard or at least optional features, but otherwise this revolver delivers on what everyone expects. Kimber rep, Ron Dudzic stated the first 1000 K6S revolvers will come with “1st Edition” on the revolver, and a nice polished case. Ron also stated a laser grip option is coming in the future. The Kimber K6S is designed for the concealed carry market, and it does a great job meeting those needs. Kimber is marketing the K6S as having the smallest cylinder on the market, and it is not too hard to agree. Looking closely at the cylinder’s design I was quickly able to see that Kimber bored the cartridge cylinders very close to one another, and with very little extra material on the outside of those cylinders. Kimber reps confidently expressed the quality of materials used allowed them to machine the specifications to such small parameters without compromising the necessary strength to withstand the impressive pressures created by .357 Magnum cartridges. 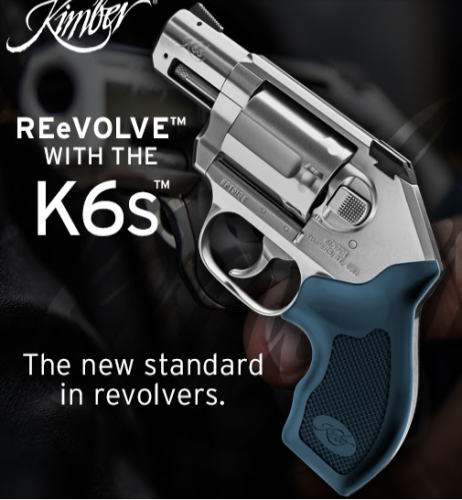 Since Kimber has just recently announced the K6S there is little information on accessories that will be compatible for this new revolver. However, the dimensions of the K6S are not so different that some holsters already on the market could accommodate a shooter’s needs right now. Available: May or June, 2016. The stubby two-inch barrel and shortened grip help make the Kimber K6S an immediate competitor for concealed carry. Revolvers are not nearly as popular today as in previous years, but they offer the shooter the confidence that when the trigger is pulled the firearm will go bang. Semi-auto pistols have the potential of being knocked out of battery, but the only thing that will stop a revolver is a blockage of the cylinder or bad ammo. Though six shots is not ideal, having six proven .357 Magnum rounds may be all you need. The 6-shot capacity of the Kimber K6S is perfect for a revolver, but at the lower end of acceptable CCW capacities. Kimber was showing the K6S with a custom wood grips at the Industry Day. The Kimber K6S revolvers available on the market will come standard with gray (almost blue) rubberized grips. 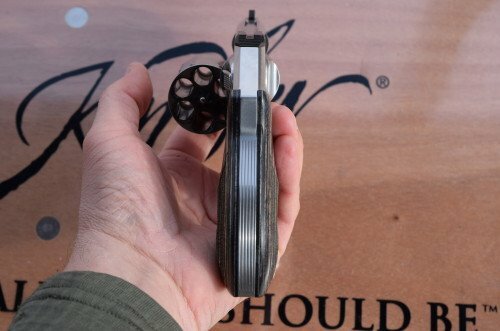 The rubberized grips offer a greater dexterity than wooden grips, but as you can see the “SHOT Show” special wooden grips are absolutely wonderful. I really hope that Kimber offers the wooden grips as an upgrade option. The Kimber K6S looks amazing, however the wooden grips are clearly marked SHOT Show 2016. The rep confirmed these grips were just for show. Kimber has incorporated the same level of precision in the K6S that they have done in all their previous customized pistols. This is not just a new version of a revolver. The Kimber K6S is a work of art. Kimber representatives were quick to explain the action on the K6S is their own unique design, and not simply a copy of other revolver manufacturers. Though similarities obviously exist, the Kimber K6S is truly a new firearm. I would expect no less from Kimber. The Kimber K6S is fairly lightweight, compact, but easily secured in a shooter’s grip. The grip is short, but I was able to place about half of my pinky finger (medium-sized hands) on the bottom of the grip when shooting. The sights on the K6S are very low profile, and at first I was a little disappointed in that decision.The sights consist of a standard front post, and a very low-profile notch rear sight. In addition, the K6S uses an internal hammer, allowing the rear of the revolver’s frame to be smoothly cut and polished reducing any chance of snagging. I like this design because I have found that seeing the exposed hammer move in my sight picture can cause anticipation issues or sighting problems. The K6S rear sights is very low profile. Notice the slim design of the frame and cylinder. I understand the concept of a CCW handgun and the desire to make everything smaller and more compact. I even understand that many trainers talk about CCW confrontations being at such close distances that a “point-and-shoot” action is actually better than trying to align the sights. However, I always like to have the option in case I recognize a deadly threat approaching from some distance. Slightly larger sights provide the confidence to accurately engage threats at distance. Despite the very low profile rear sights, I found that with just a little extra effort I could still align the sights and shoot the K6S rather accurately. The cylinder release lever is enlarged but angled to prevent snagging. The lever is a push forward to break open design. The K6S uses an enlarged cylinder release lever with serrated face for easy manipulation. 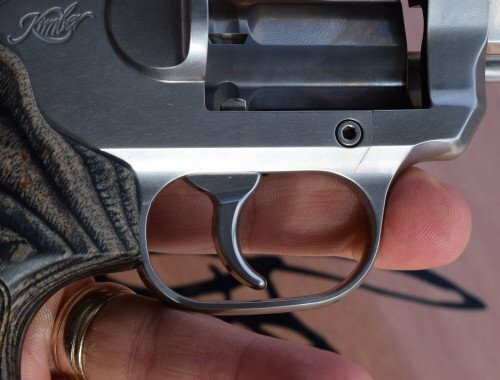 Kimber uses a push forward (and slightly inward) design to break open the cylinder. Despite being larger in size, the design of the release lever actually angles the lever to be more narrow the further it gets from the protective shroud. This makes the lever very compact and reduces any chance of snagging. Perhaps the most outstanding feature of the Kimber K6S revolver is the trigger. I will readily admit that I am not the expert on revolvers. However, I have shot revolvers from Smith & Wesson, Colt, Ruger, Taurus, and Chiappa. The Kimber K6S trigger is by far the most amazing and smooth DAO trigger I have fired in a revolver. Kimber states their K6S trigger is factory set between 9.5 and 10.5 pounds. That may be true, but I can honestly tell you that you will not believe it if you shoot the K6S. 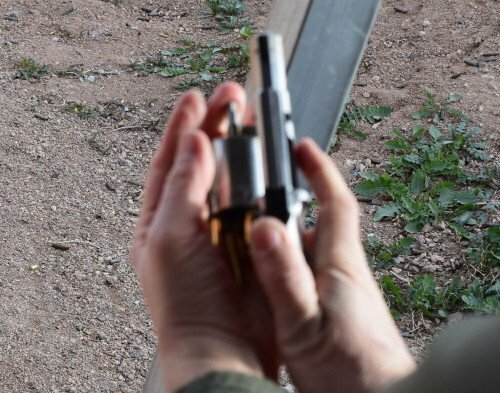 The travel of the trigger feels ball-bearing smooth, and the actual break to fire was a slight build-up just noticeable enough to ensure the shooter knows what it is coming. Otherwise the entire trigger pull from start to break felt like a smooth, horizontal travel plain, with absolutely no loose up-take or jerky resistance. The K6S trigger is the absolute best revolver trigger I have ever pulled. The trigger on the K6S is so smooth I would have thought it was half the trigger weight advertised. If you are interested in revolvers I highly recommend you give the Kimber K6S a try. The revolver is lightweight, the trigger amazing, and the accuracy is very good. Kimber had some steel targets at the range and I was easily able to place rounds on target from 15 yards. In fact, the trigger and recoil were so light I was able to shoot rapid follow-up shots accurately with very little effort. The recoil of the Kimber K6S was actually very manageable. Kimber did not try to use lighter .38 Spl. rounds to make the K6S look better. I checked the rounds as I was loading and confirmed they were labelled .357 Magnum. The direct-line and low profile of the barrel, frame, and sights resulted in the recoil going directly backwards into my hand, rather than causing a significant muzzle rise. I was very impressed with how the Kimber K6S fired, and at 15 yards I was able to keep my shots in a tight group. Shooting the Kimber K6S was amazing and fun. When shooting the Kimber K6S I assumed a more traditional stance with my support hand grasping my firing hand wrist. I had considered a more modern 2-handed grip, but the smaller Kimber K6S features did not feel just right. A shooter could manage a 2-handed grip, but for my test shooting I wanted to be as accurate as possible, so I selected the more traditional revolver grip pictured. Manipulating the cylinder release lever and operating the plunger were both easily accomplished. Accuracy from the Kimber K6S was very good. Though I was not allowed to go down range to measure my hits, I would feel very comfortable in stating that my hits were within 2.0-2.5″ at 15 yards. That grouping must also be taken into consideration that some of my shots were more focused on how the trigger felt, how the sights aligned, and the general feel of the revolver rather than absolute accuracy on target. The actual gray (blue) rubberized grips are not nearly as nice as the wooden grips on the SHOT Show models – look for Kimber to rectify that! 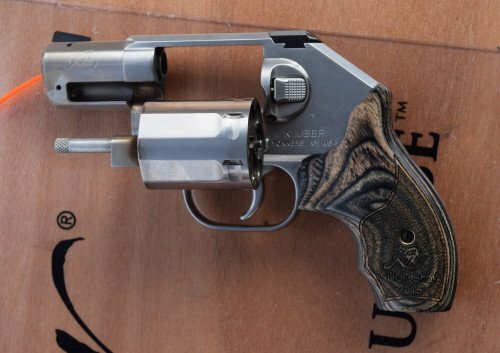 Kimber has incorporated their excellent reputation and manufacturing expertise into their first revolver. The K6S has many features that will make the revolver a serious consideration as a CCW handgun. The Kimber action and trigger are outstanding, with the trigger being the best revolver trigger I have ever pulled. I carry semi-auto pistols on a daily basis, and have chosen semi-autos as my every day carry (EDC) for nearly 25 years. Shooting revolvers has always been a more recreational exercise for me, so my opinions on the Kimber K6S must be viewed through that lens. However, the K6S makes a strong argument for being an everyday carry (EDC) handgun, including being a shooter’s first choice for CCW. Regardless of the pros and cons of revolvers, the Kimber K6S is an outstanding firearm, and one that I would have no problem recommending. AUTHOR’S NOTE: Special thanks again to our friend Rob Binney who jumped at the opportunity to come to SHOT Show even though it meant a lot of work. Without his help, many of our pictures and content would not have been as good. 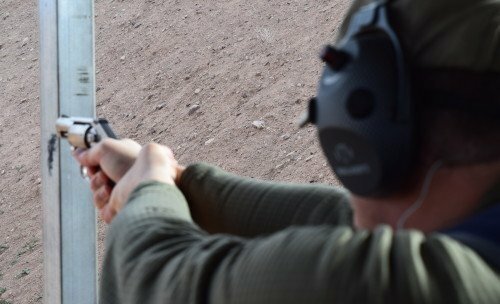 Because of the low recoil, it might very well be the ideal sd weapon for anybody, particularly those who don’t practice much, or for those not strong enough to fire full magnum loads in all other ccw revolvers. I have an lcr .357 and the recoil firing magnum loads is stout. 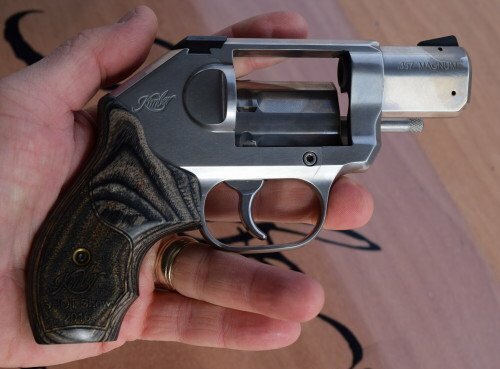 The k6s, judging from several videos and comments of those who have fired the K6s might very well be reduced enough to make a .38 special +p load downright fun. Who knows, at this rate, perhaps a 110 grain .38 special wadcutter recoil might end up being comparable to a .22 lr. (Lol). If so, that should translate into huge sales for Kimber. James I absolutely agree with your statements. As I stated in the article, this was an amazing revolver to shoot. I checked the ammo at SHOT and ensured it was actually .357 Magnum. I did not get the bullet weight, but the K6S shot like a dream. I’m sure the K6S would make .38 Special +P an enjoyable round to shoot. what is your estimate of the recoil firing a 100-110 grain wadcutter? would it be mild enough to fire the k6s with one hand, accurately? I would expect very light recoil, easy follow-up shots, and yes, accuracy with one hand. Oh, and a lot of fun. If I remember correctly the K6S should be out in mid second quarter, so that means sometime around May. As I stated, I’ve shot several revolvers, and own a Colt Python, but my revolver buddies absolutely agreed with your statements about the J-frame and Colt DS. This is really a fun revolver with serious self-defense capability. I. Agree with the 327. Mag 7 shot.. I. Have the kimber k6s and love it but 327 would be better.